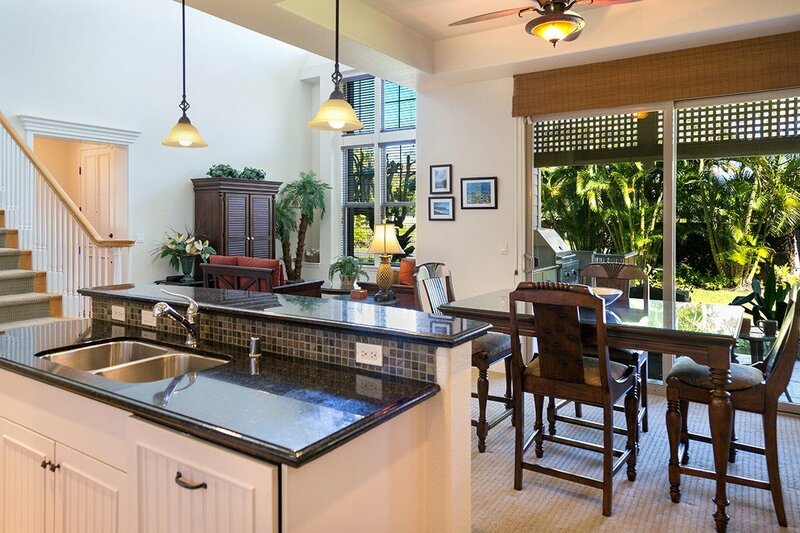 Walk to the Shops, dining, hotels & the beach from this beautiful end unit townhouse, boasts an expansive 2 story east facing wall of windows for added light & airy views. 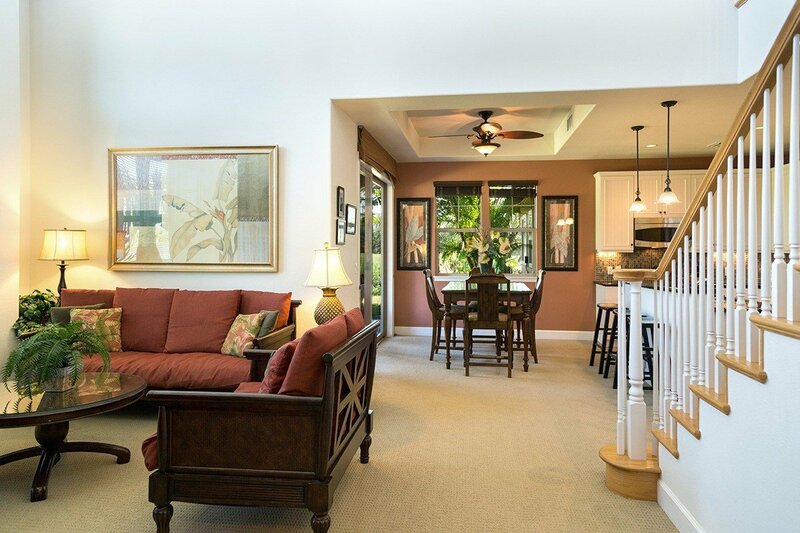 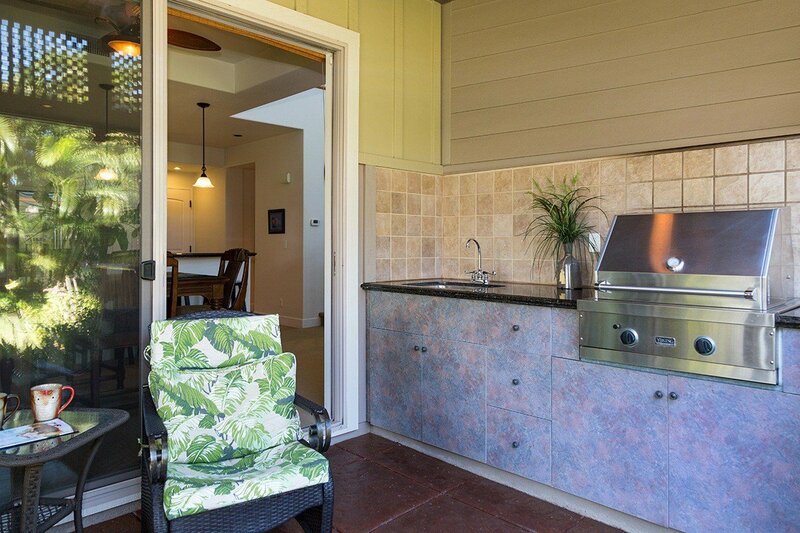 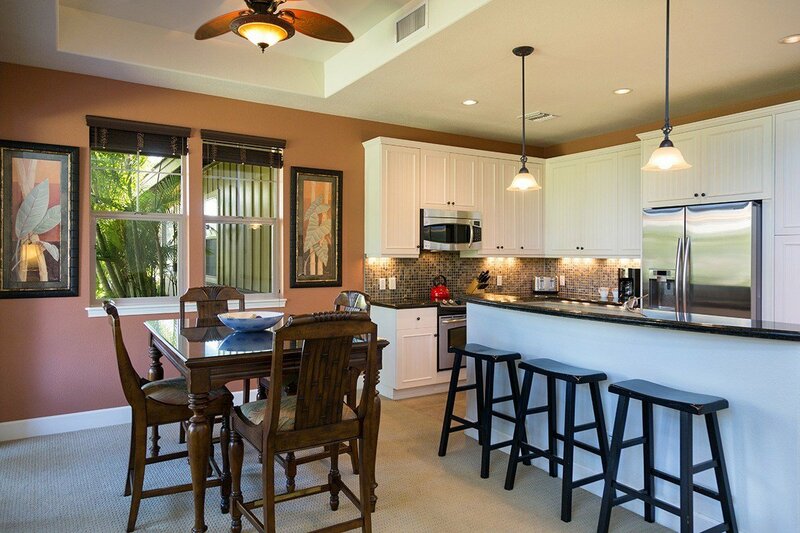 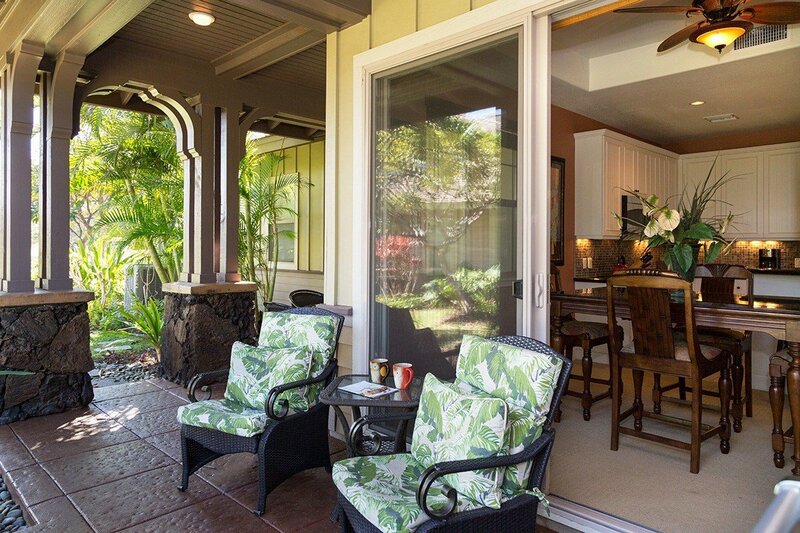 The open floor plan has a large eating peninsula and dining area stepping onto the covered lanai with built in barbecue & prep sink. 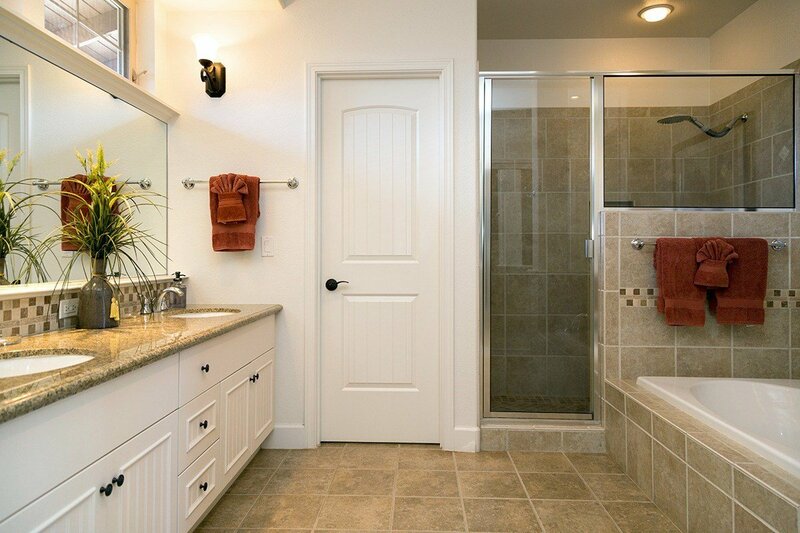 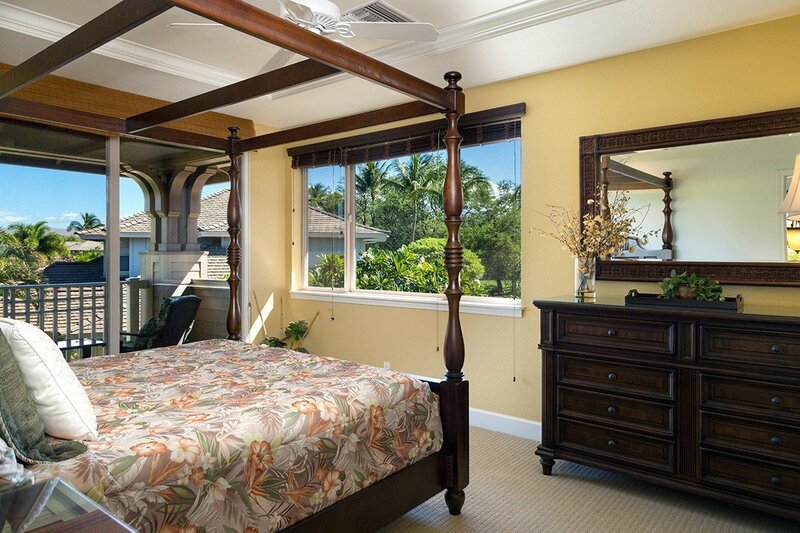 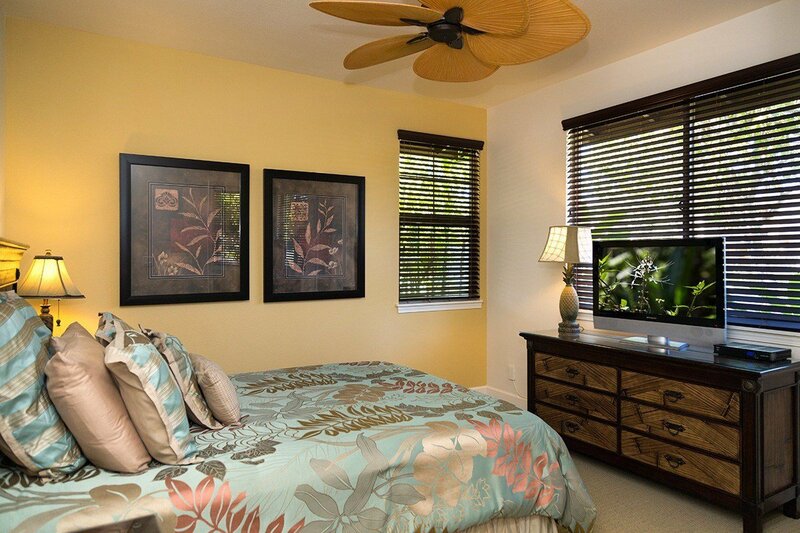 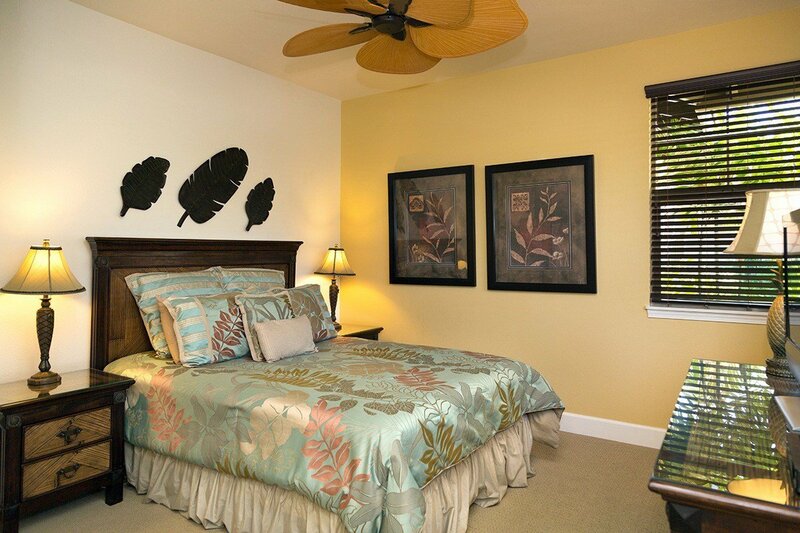 The master suite encompasses the entire second floor, while the guest room is conveniently on the main floor. 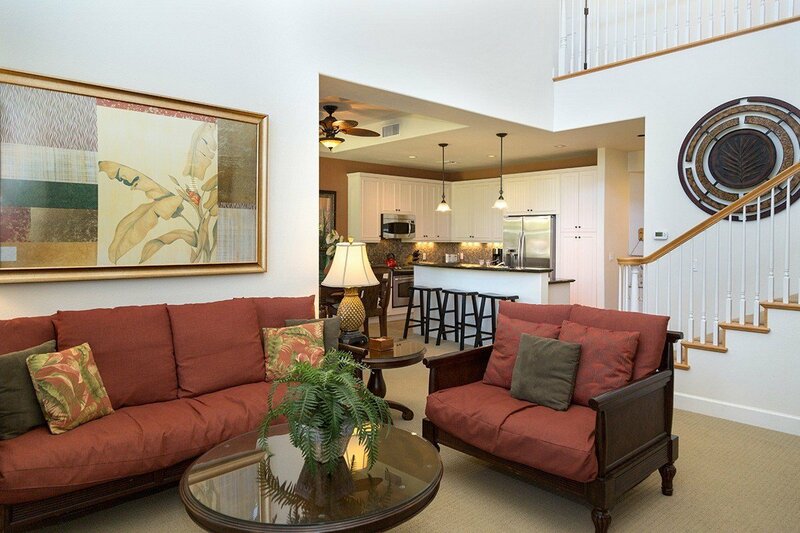 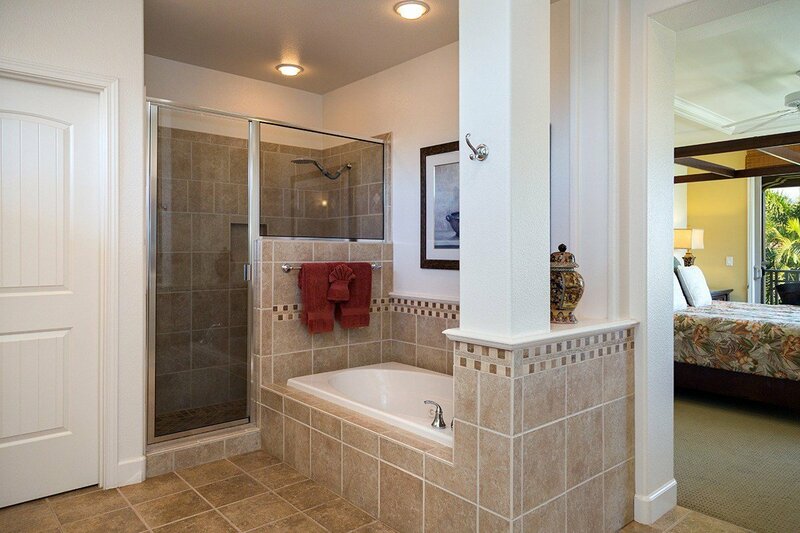 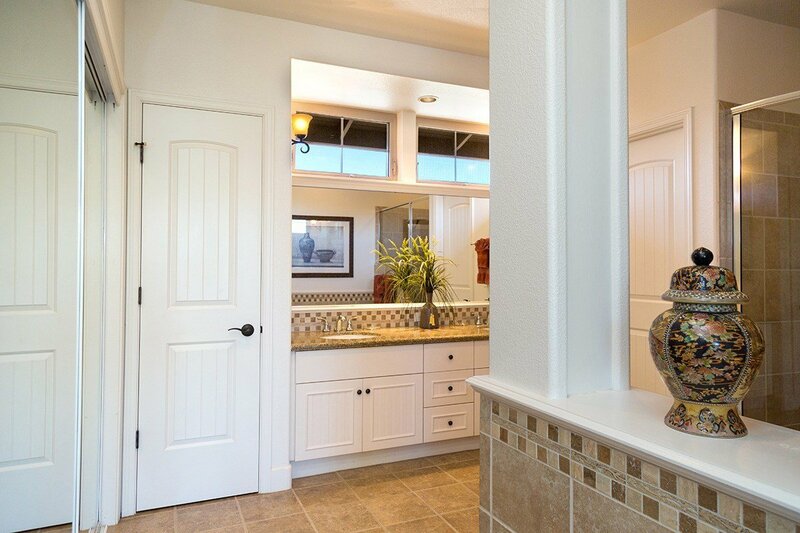 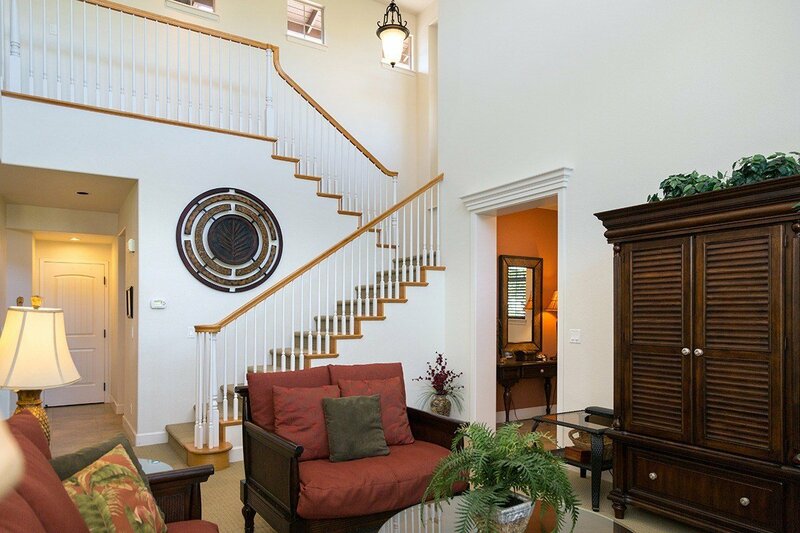 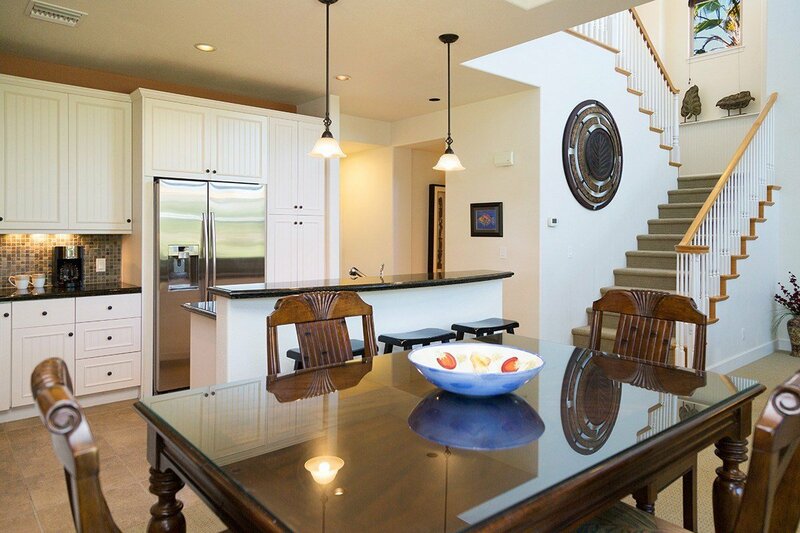 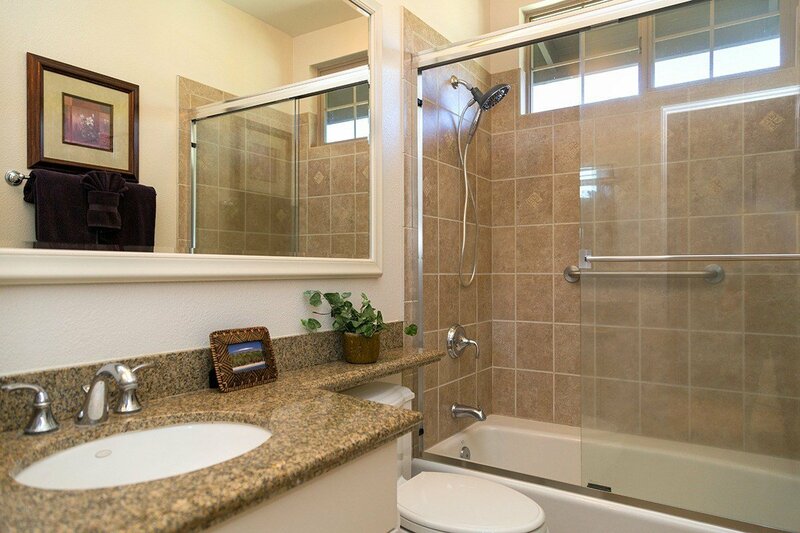 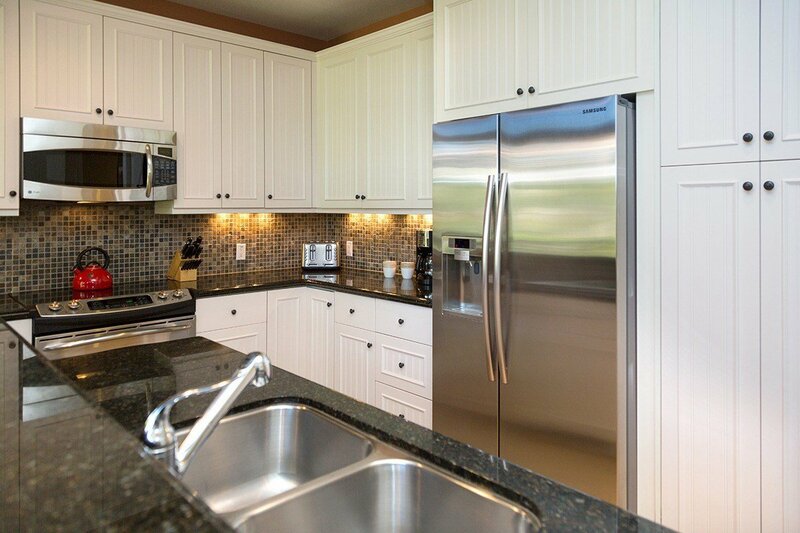 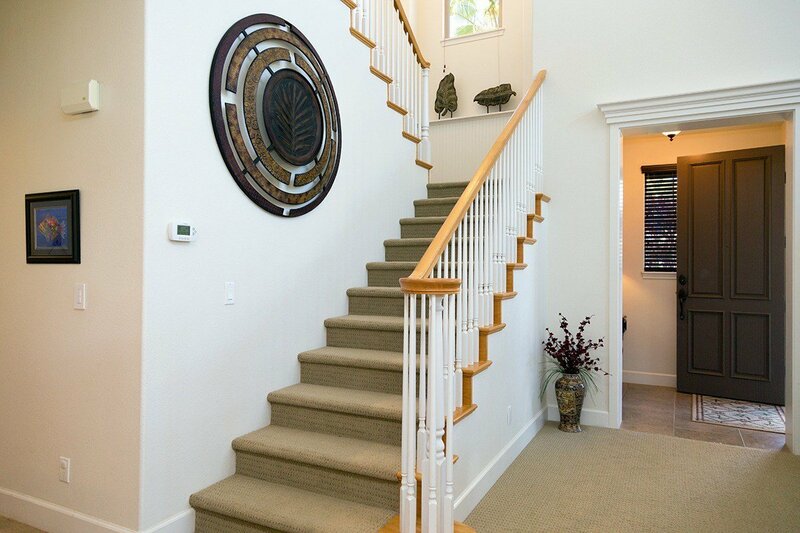 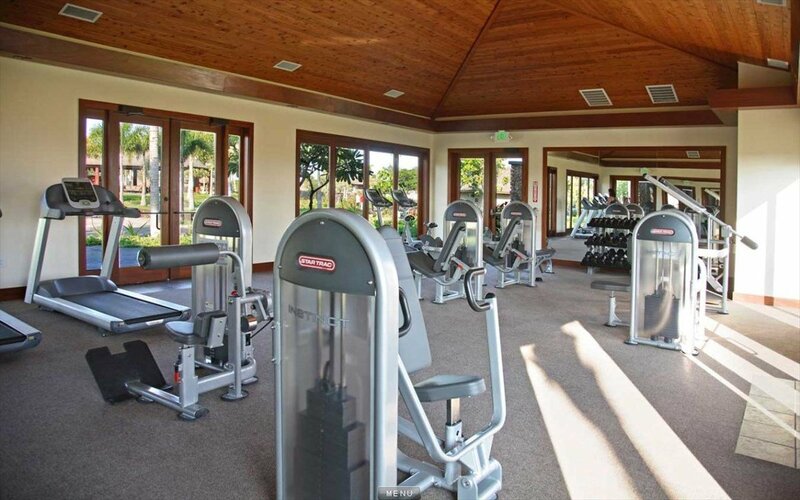 The location is ideal sitting just off the golf course and across the lane to the pools & workout center. 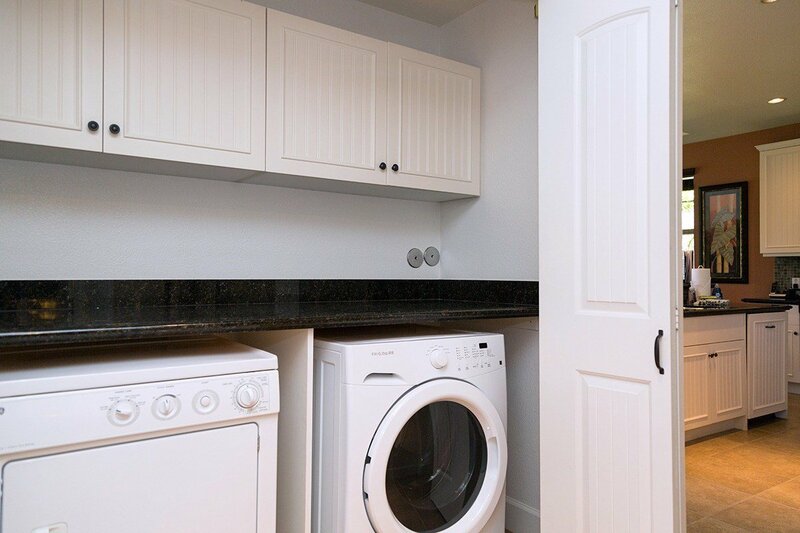 Additional Features include: Single Car garage Full size Kenmore Washer & Dryer GE built in panel door refrigerator Central AC Custom blinds throughout Beautifully furnished & turnkey ready Steady vacation rental bookings The amenities include a free form lagoon style pool, a separate lap pool and a state of the art air conditioned workout hale with men and women's showers and outdoor spa in addition to the beautiful owners pavilion with large outdoor kitchen for large gatherings by the pool. 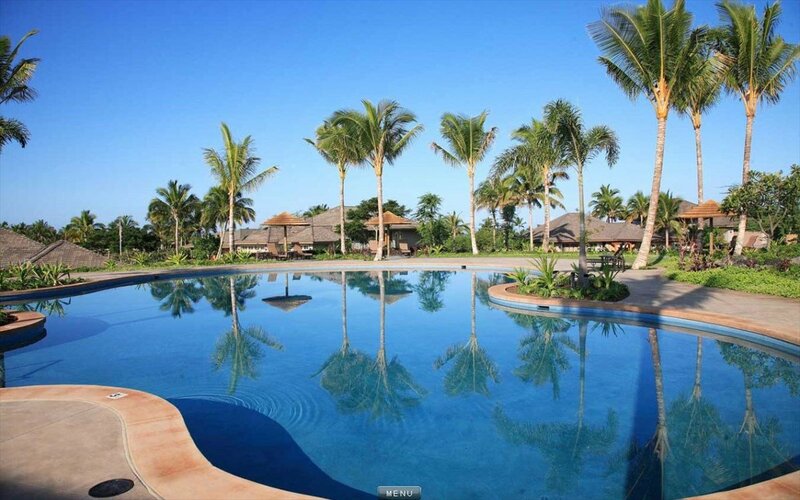 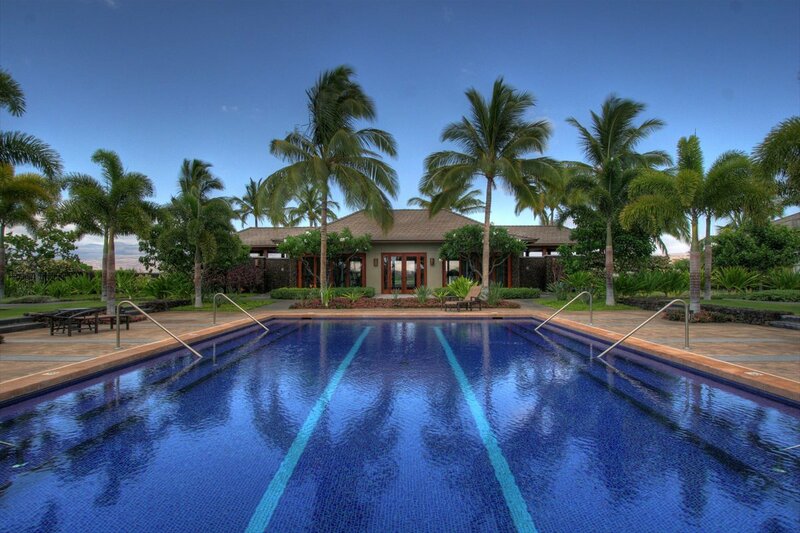 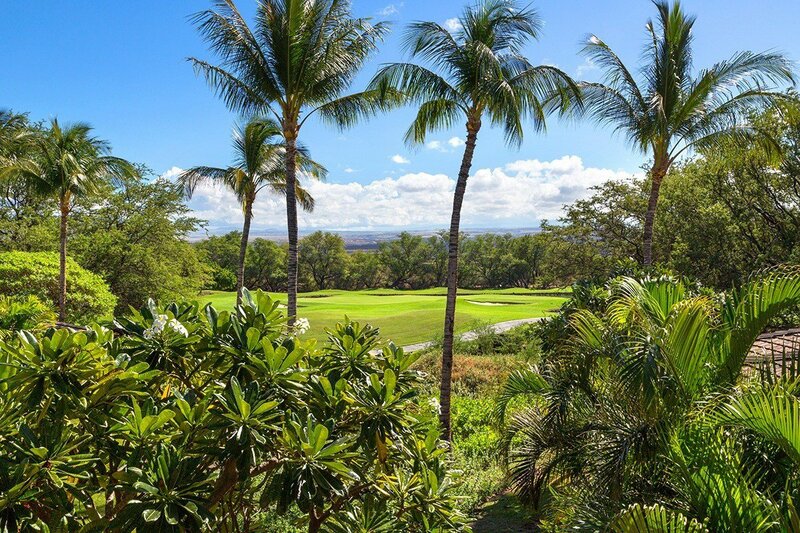 Owners at Mauna Lani Resort are eligible for the Resort Advantage Program which offering reduced rates at both championship golf courses, various hotel discounts and a access to the private Mauna Lani Beach Club. 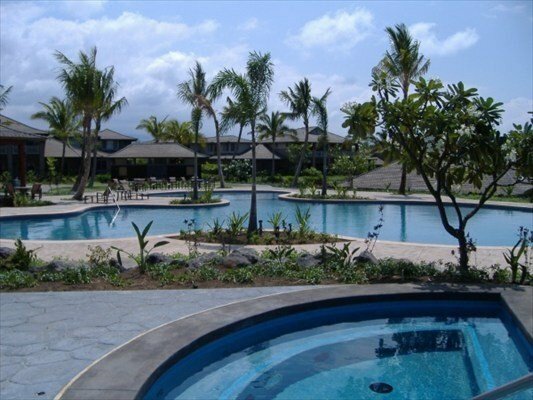 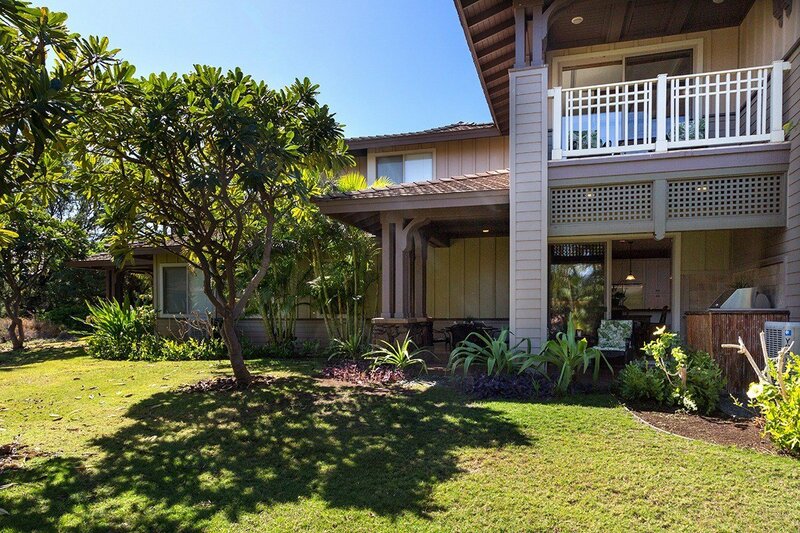 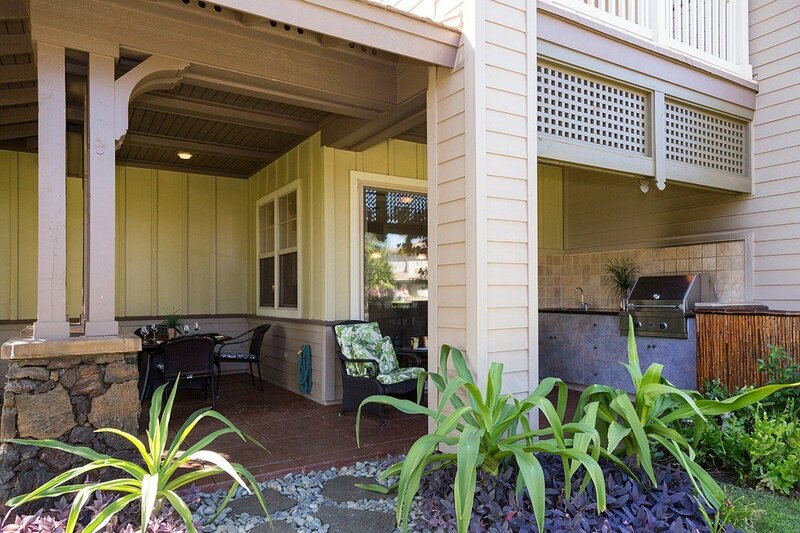 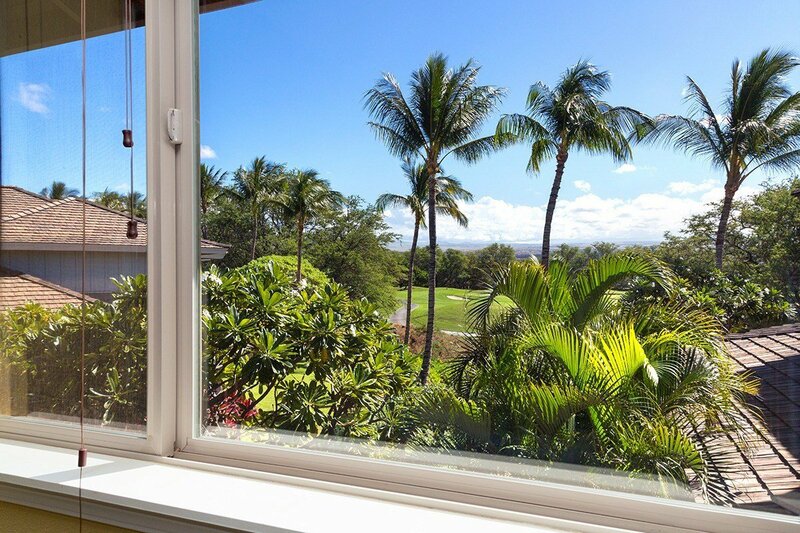 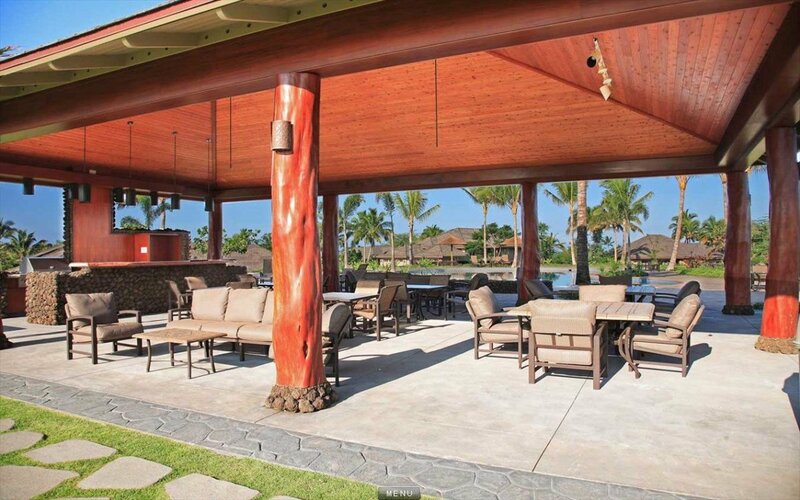 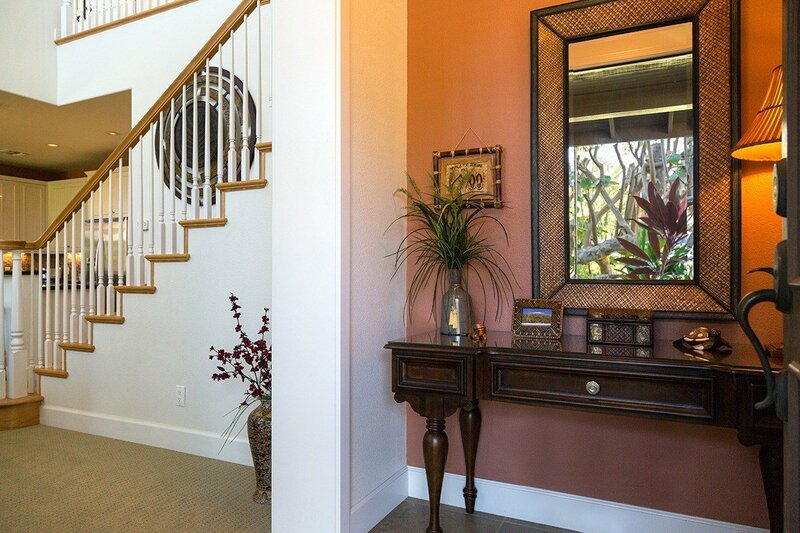 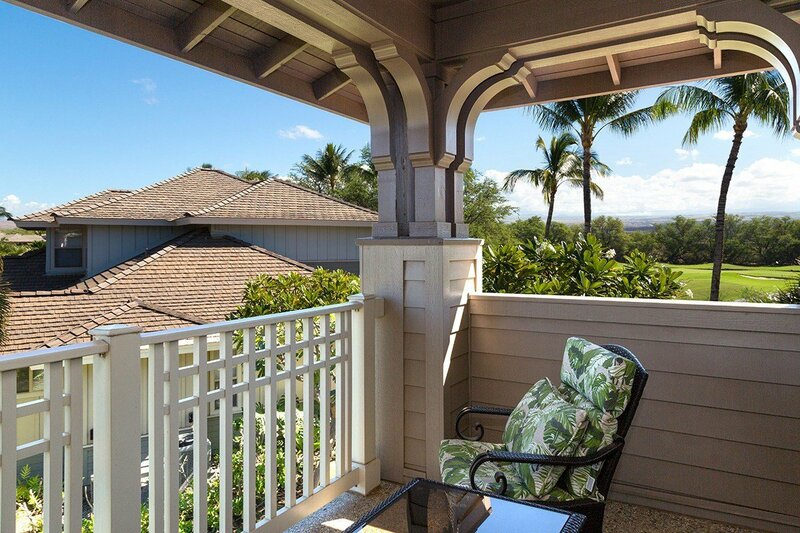 HOA fees include: Water,Sewer,Trash,Basic Cable,Insurance,Pest Control,Landscaping,Kulalani Rec Center fees, and the Mauna Lani master association fee.